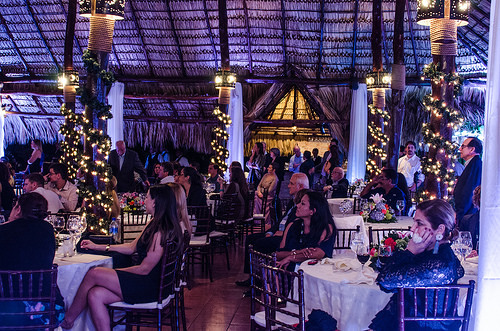 The sixth annual Bonsucro Inspire Award ceremony was held at the spectacular Intermezzo del Bosque restaurant overlooking Managua, Nicaragua, during Bonsucro Week 2018. 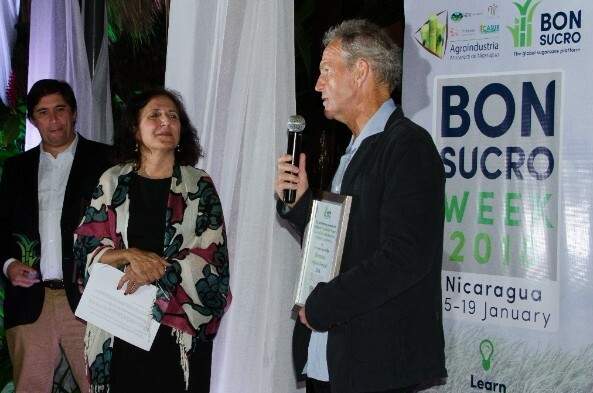 The Bonsucro Inspire Award is awarded to an organisation, partnership or individual in recognition of their exemplary and transformative contributions to the sustainable sugarcane sector, celebrating collaboration between different actors, and sharing stories that others can be inspired by and learn from. Grupo Arcor, an Argentine food company that specialises in food, confectionery, chocolates, packaging and agroindustry, was shortlisted by the committee for its Sustainable Agricultural Program involving farmers, employees, NGOs, governments and other firms. One of the outputs of the programme was the development of a diagnostic tool which enabled the evaluation of 100 farmers to understand and assess their economic, social and environmental status and needs, with the results used to inform working plans for improvement. Other aspects focused on increasing mechanisation, reducing agrochemicals, reusing raw materials such as bagasse, and reforestation. 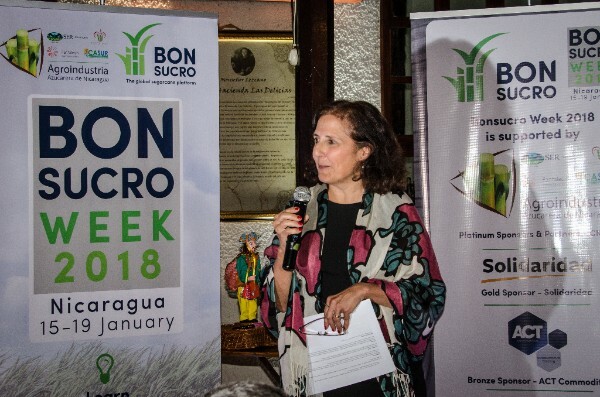 In 2017, Grupo Arcor’s La Providencia sugarcane mill achieved certification to the Bonsucro Production Standard, the first mill in South America outside of Brazil to do so. 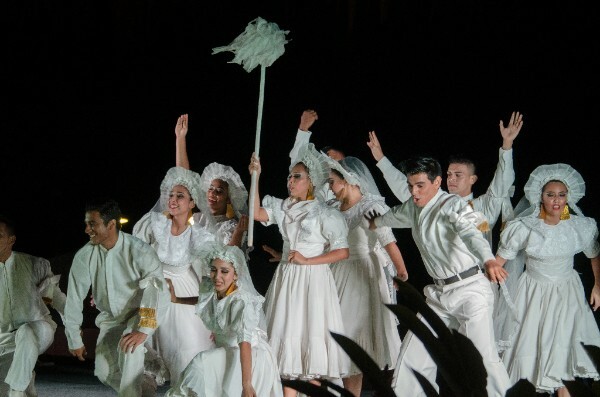 Grupo Arcor’s work was considered by the committee to be an example of the importance and necessity of adapting to producers’ needs and reality, always considering their context and history. Grupo CASSA (Compañia Azucarera Salvadoreña), an agro-industrial company with more than 50 years of experience in the production of sugar, molasses and energy from sugarcane, was shortlisted for its achievements in working with farmers and local communities through its Aliados de la Comunidad programme. In November 2017 their Central Izalco mill became the first mill in El Salvador to achieve Bonsucro certification. Grupo CASSA works with cooperatives as key strategic partners, and is building alliances with volunteering networks, non-profit organisations, universities, local and central governments, and banks to address local needs. Their objective is to transform producers and cooperatives into sustainable, competitive and profitable enterprises, using the mills and supply chains as an engine for community development. Areas of focus include eradicating child labor in all its forms and improving of the quality of life of families. 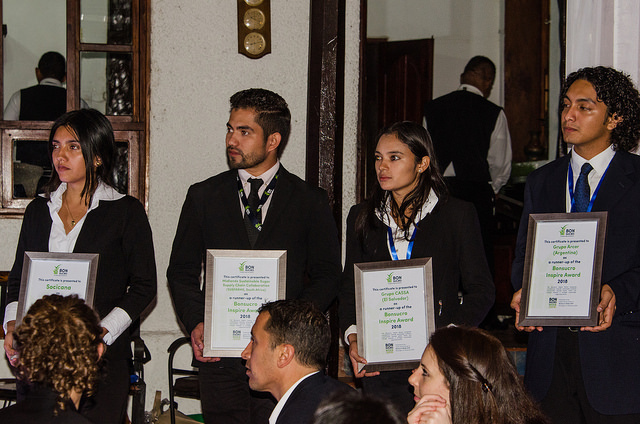 The awards committee believes we can learn from Grupo CASSA’s benefits to communities and families that sustainability is a way of doing business, by influencing decisions at all levels. Established in 2014, the Midlands Sustainable Sugar Supply Chain Collaboration is a multi-stakeholder group of key players in KwaZulu-Natal Midlands sugarcane region delivering sustainability services to sugarcane growers free of charge. The foundation of the collaboration is an existing sugarcane farm sustainability management tool called SUSFARMS that has been recognised and supported by the South African Government. SUSFARMS was shortlisted for its participatory stakeholder engagement model that is operating in a region under significant pressure from climate change. Their sustainability tool has helped growers work towards compliance with Bonsucro indicators and climate-smart practices, through methods such as the use of farm-specific Spatial Biodiversity Plans and 237 land use plans, aiming to improve land use and conservation. The scheme has reported significant benefits including improved field management, better use and management of fertilisers and agrochemicals, reduced soil erosion, easier cane extraction, reduced operational costs and safer road networks for staff transport and fire response units. The committee shortlisted SUSFARMS for the Award as a model approach to stakeholder engagement and cross-sector learning. An important outcome from the scheme is the effectiveness of informal interactions in engaging small-scale growers in sustainability improvements, showcasing existing examples of good farming practices. 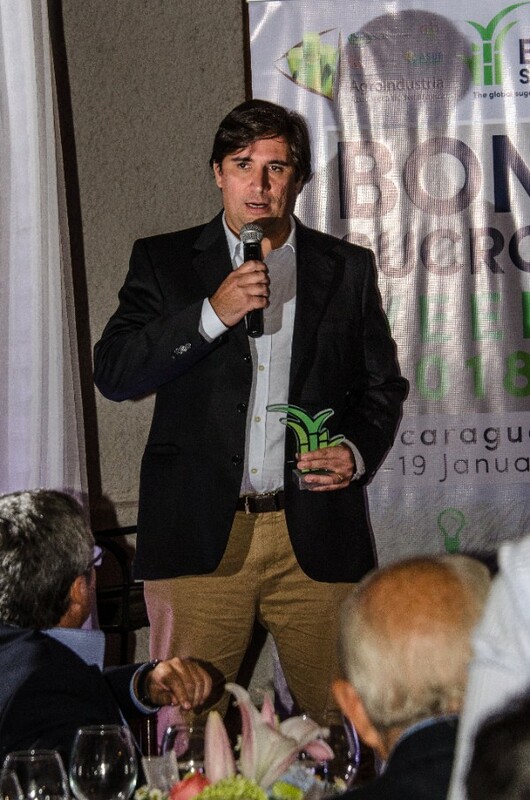 Bonsucro is pleased to be able to name Socicana, the Association of Sugarcane Suppliers from Guariba, Brazil as the winner of Bonsucro Inspire Award 2018. Socicana’s Bruno Rangel was on hand to accept the award, presented by Diane Stevenson, the Chair of Bonsucro’s Members’ Council. Socicana, with their partners Solidaridad, has promoted competitiveness and sustainable development through its Top Cane Project, which aims to build a gradual and continuous improvement process for the better management of farms. Top Cane project provides free training to rural producers and their families on farm management, with an added emphasis on personal and professional development through improved business skills. Training methods include health and safety courses, guidance materials, technical support visits and field days for monitoring of performance indicators. The scheme has also embraced innovative uses of social media as a means for producers to ask questions and to share best practices, including new technologies and approaches. 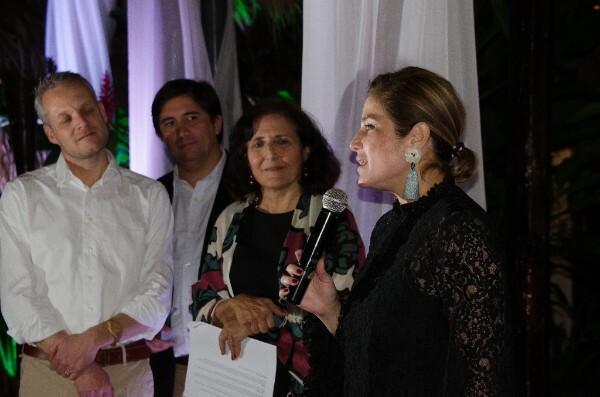 The committee awarded Socicana with the Inspire Award 2018 for building a network of partners to ensure a robust and resilient programme, paired with a model of engagement that really focuses on the needs of producers and their families through training and support, promoting their personal and professional development. Socicana provided evidence of improvement in the areas of occupational health and safety, labour relations, agricultural practices, environmental management, business management, and social responsibility projects. According to Mr Rangel, Socicana has plans to expand its work. “We hope that Socicana can be the bridge to bring the growers around the world to a new mindset about the production, the costs of production, the different ways of seeing your field and your farm, and always looking for good practices and continuous improvement. Congratulations to Socicana and the three runners up for this year’s Inspire Award. Bonsucro would like to extend a warm thank you to all of the participants of the dinner, those that submitted nominations, and everyone who made this year’s edition a memorable one. We hope that people take inspiration from the models and practices shared by this year’s nominees and use them to accelerate and develop your own practices. We look forward to receiving even more impressive and exciting submissions next year.